He’s a hit on Savannah’s club scene and made his SMF debut in 2011. 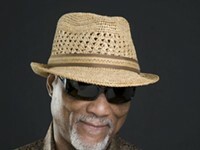 Hammond B-3 legend Ike Stubblefield is back! 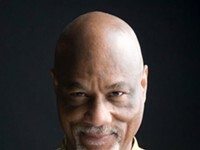 The organ master has had a truly impressive career, having performed with artists like Marvin Gaye, Stevie Wonder, and Ike & Tina Turner. 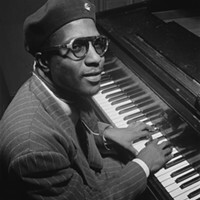 In the 1970s, he linked up with San Francisco royalty like Janis Joplin, Eric Clapton, and Jerry Garcia, going on as producer and composer with Phil Spector, Quincy Jones, and more. These days, Stubblefield is an in-demand session player who finds his way onstage with all kinds of performers. The trio has a few performances throughout the festival—you can see them at Jazz Organ Summit: Joey DeFrancesco & The People/Ike Stubblefield Trio on Wednesday, March 29 at 5:30 and 8:30 p.m., but we’re particularly psyched for this afternoon gig. What a better way to break up your work day than with a funky lunchtime concert? If you dig the heartfelt, elegant stylings of songwriters like Jeff Buckley, Rufus Wainwright, and Andrew Bird, don’t miss a chance to see cinematic pop sensation Patrick Watson and his band. The Canadian composer has roots in film and TV composition with credits for 15 film scores. His latest solo album, the poignant Love Songs For Robots, arrived in 2015. Thursday, March 30, 8:30 p.m.
Here’s a very special Music Festival event! Deadheads and festival regulars alike will be delighted with Travelin’ McCourys and the Jeff Austin Band’s unique team-up that will pay tribute to The Grateful Dead. 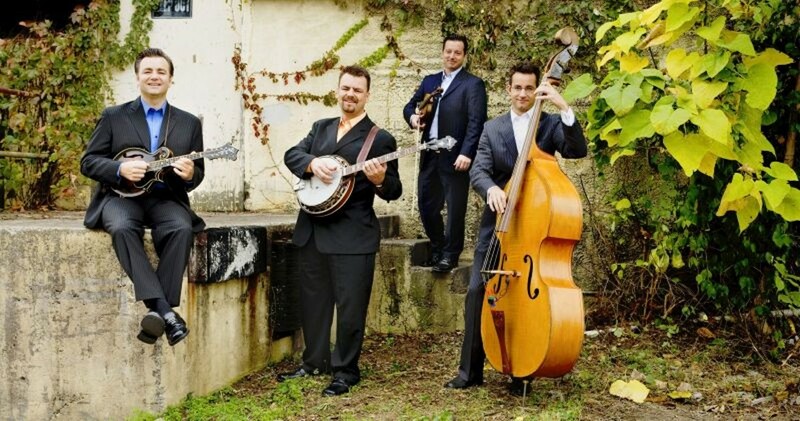 Bluegrass troubadours The Travelin’ McCourys, a SMF favorite (they were last here with guitarist Keller Williams in 2013), include Del McCoury’s sons (mandolinist Ronnie McCoury and banjoist Rob McCoury) along with Jason Carter on fiddle and Alan Bartram on bass. 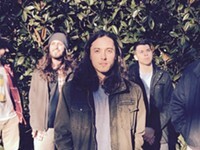 Jeff Austin is a founding member of Yonder Mountain String Band. 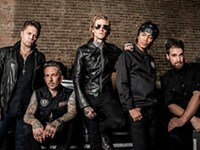 As a frontman of his own group, Austin blends jam and theatrical influences together for a unique take on Americana. Each group will play select Grateful Dead songs individually. For the grand finale, all members hit the stage for a one-of-a-kind collaboration. 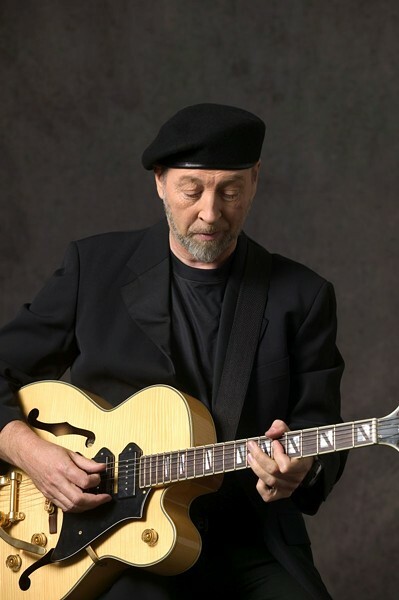 Friday, March 31, 5 p.m.
Last time we saw one-of-the-Top-20-Guitarists-of-all-Time-according-to-Rolling-Stone Richard Thompson, he was performing with his electric trio at the 2013 Savannah Music Festival. The prolific writer, who’s penned hits for the likes of Robert Plant, Elvis Costello, David Byrne, Bonnie Raitt, and more, returns to the Festival with a solo set. 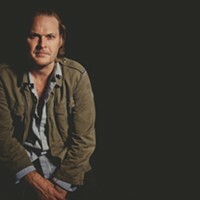 As a solo artist, the former member of influential British folk-rock band Fairport Convention has spent the last two years on the road with Bob Dylan, Wilco, and My Morning Jacket. 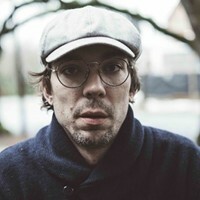 For his grand return, Thompson shares a bill with Savannah Music Festival Sarah Jarosz. The 25-year-old Grammy winner made her Savannah Music Festival when she was just a teen in 2010. Who’s ready for some traditional Irish music? Button accordion player Máirtín O’Connor, who’s been performing since he was a member of De Dannan and the Boys of the Lough in the 1970s, has kept Irish traditional music alive and even incorporated it into pop music by playing with Rod Stewart, Elvis Costello, Mark Knopfler, Townes Van Zandt. A contributor to the music behind dance hit Riverdance, the Galwegian musician offers an engaging and entertaining performance. Molsky’s Mountain Drifters share the bill and add Southern Appalachian ole-time tradition in the mix. Molsky is a SMF regular, having performed with many artists in the past. The Mountain Drifters are his newest project and will show off the expert fiddle player’s unrivaled chops. Tuesday, April 4, 5 p.m.
We spoke with M.C. Taylor about playing traveling songs while on the road, his old life as a folklorist, and his place in American music tradition.